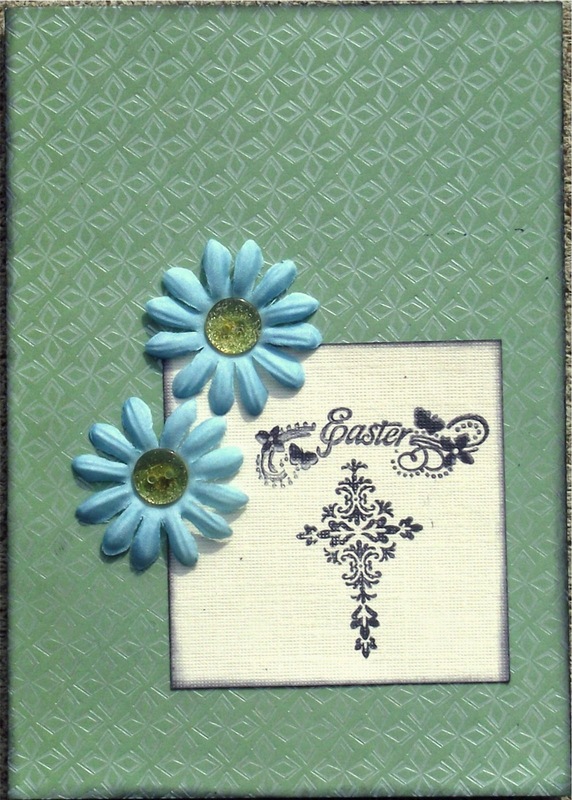 Here are a few more Easter cards I worked on today and then I will be off to bed! The first uses Scrapbook.com card sketch challenge #3. I also used the color palette from Pal's Paper Arts challenge PPA199. I am also entering this in Sketches4All Spring is in the Air challenge #5 which called for using the word Easter or Spring. 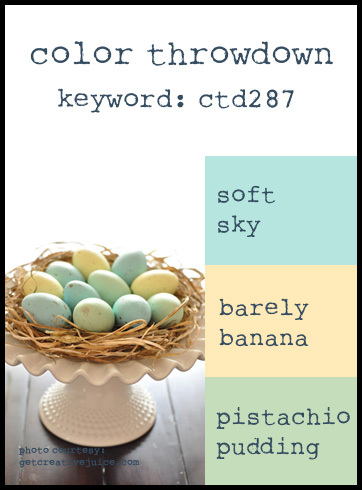 Card #2 uses Unscripted Sketches #252 and the Color Palette from Color Throwdown challenge #cdt287. I am also entering it in Sketches for All Spring is in the Air challenge #7 which calls for using a flower of any type. 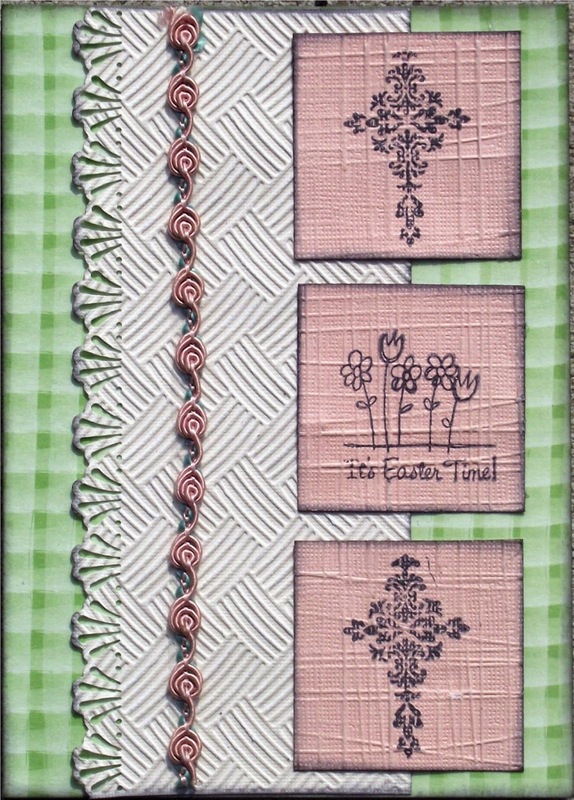 Next up was done for challenge Sketches4All Spring is in the air #2 using the sketch below plus ribbon and a stamp. 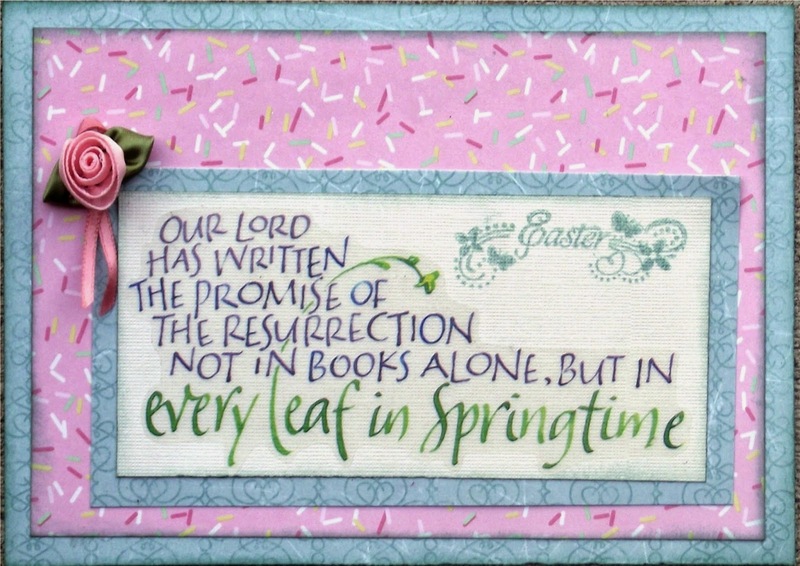 I am also entering this in CardzTV challenge #5 which is to create a card for Easter. My last card uses Scrapbook.com Card Sketch #4 and the word art from Word Art Wednesday #127 and my favorite Martha Stewart punch for Paper Pretties challenge PWC305. I hope that you have enjoyed this selection of cards. The plan is to do more of them tomorrow (after hopefully completing my taxes). Thanks for stopping by...and now...off to bed...Sweet Dreams! You are on a roll with all these spring creations! Beautiful cards! Thanks so much for joining us at Color Throwdown! Lovely cards, thanks for joining CTVS! Fun cards and busy bee!! Thxs for jkinng us at CTD!! Love the sketch you did for Unscripted Sketches : ) I have that exact same background paper! It is just lovely!! Wonderful selection of cards! Well done! Thanks for playing at US! 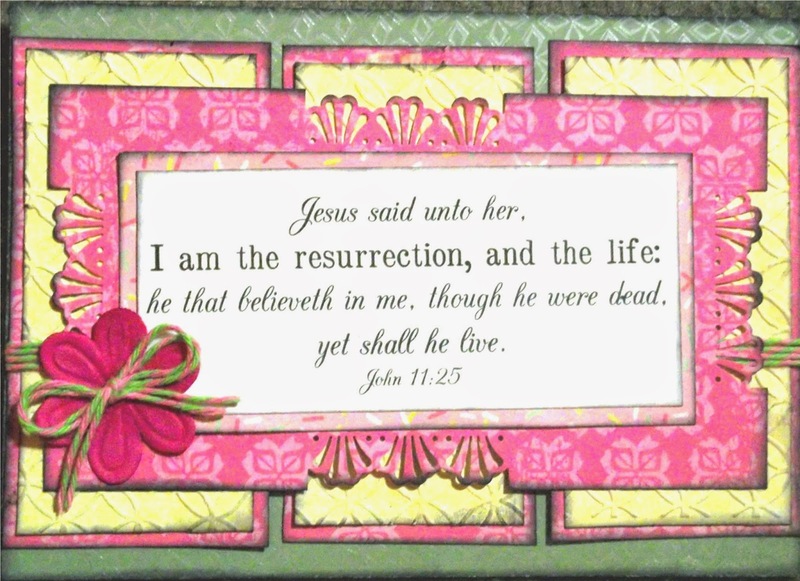 Your Easter cards are beautiful!